Should you ask your local Priest, Imam, Rabbi? This choice makes sense if you have a strong affiliation with a particular branch of worship, or if you are choosing to do it for family reasons. This is something you should be discussing early on, and since families often bring together a range of religious outlooks, we wrote an entire article on how to navigate this delicate exchange. Tradition, perhaps it's your cup of tea? If you are getting married in a house of worship, your choice is probably going to be limited to the spiritual leaders that are affiliated with that particular institution. Even if your options are limited, your choices here matter. 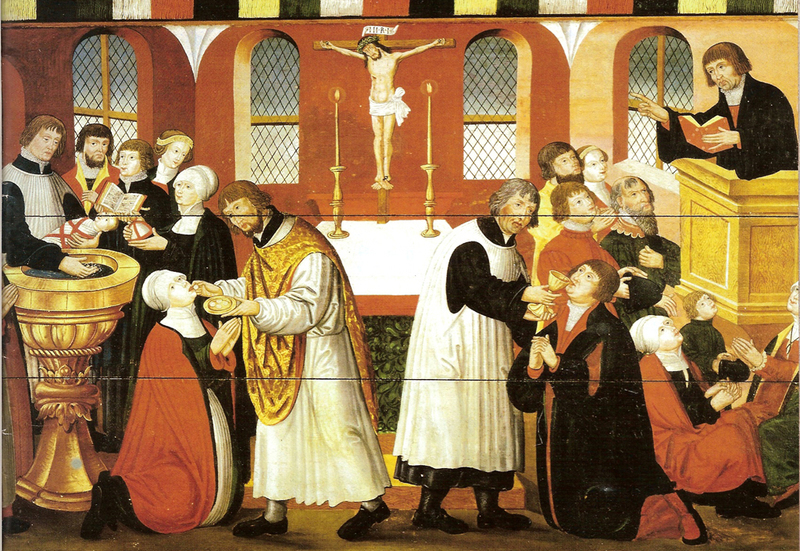 If you are closer to a particular spiritual leader, or one of them seems to worship in a way that jives with you, then you should ask them to be your officiant. Having a more personal connection to the individual performing your ceremony can lead to a more comfortable and meaningful ceremony. Of course, AMM exists in large part to accommodate the needs of couples that don’t want clergy involved, and who instead want wedding ceremonies outside of mainstream religious institutions. That said, what matters most is that you find an officiant that shares your values and beliefs. If that means asking Father Capparelli from your local Catholic Parish, then more power to you! We want you to have the best ceremony possible -- and that means the most personal ceremony. Should you hire a Professional Officiant? First off, you need to figure out how much religion and tradition you want. This is the key to finding an officiant who will deliver a wedding ceremony that fits you. If you decide that you want to have a religious/traditional tone or a partial religious/traditional tone, then meet with people who have the proper background and show it on their website (if they have one). There are other indicators that an officiant is a good/bad fit in terms of their worldview. Are they traditional, LGBTQ-friendly, or sensitive to the politics and dynamics of your life and the ceremony? Make sure to ask, because there are professional officiants of all stripes, and you want one that speaks to you on a personal and/or spiritual level. Of course, being ordained through AMM is always a good indicator that a professional officiant is the right one for you! Research your options carefully. This is less of an issue in this day and age, thanks to large numbers of reviews on sites like Yelp, Wedding Wire, The Knot, etc., but it’s worth mentioning, since in addition to telling you how good the officiant may be, reviews can give you a good picture of the officiant’s style and how their couples related to them. IAPWO President Rev. Laura C. Cannon, who contributes to this blog, is an examplary professional officiant! Start this process early in your wedding planning and meet with the officiants you are considering before you hire them. By starting early, it gives you plenty of time to go through the selection process and it also allows you to meet with the best officiants who usually book up more quickly. And by meeting with the officiants in person or via Skype, you can get a feel for their personality and hear how they will work with you to prepare your wedding ceremony. 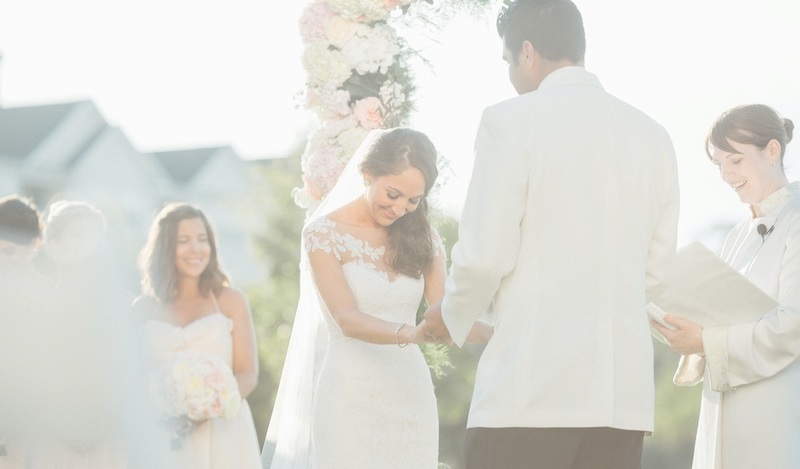 Should you ask Friend or Family Member to Perform your Wedding Ceremony? Here’s where American Marriage Ministries comes in, and of course, we saved the best for last! Creating a memorable wedding ceremony is all about chemistry, and chemistry is about relationships. For many couples, those relationships are already decades old. We can almost guarantee that you have a friend or a relative that shares your values and beliefs, and who would be honored to stand up there and officiate your wedding. Our advice, ask them! If you are thinking about this option, or have already asked a friend or family member to officiate your wedding, please make sure that everyone involved (couple and the chosen officiant) are working together to make sure they are in sync about the tone of the wedding ceremony, the timing of everything (ceremony preparation timing and day-of timing), and the ceremony logistics. 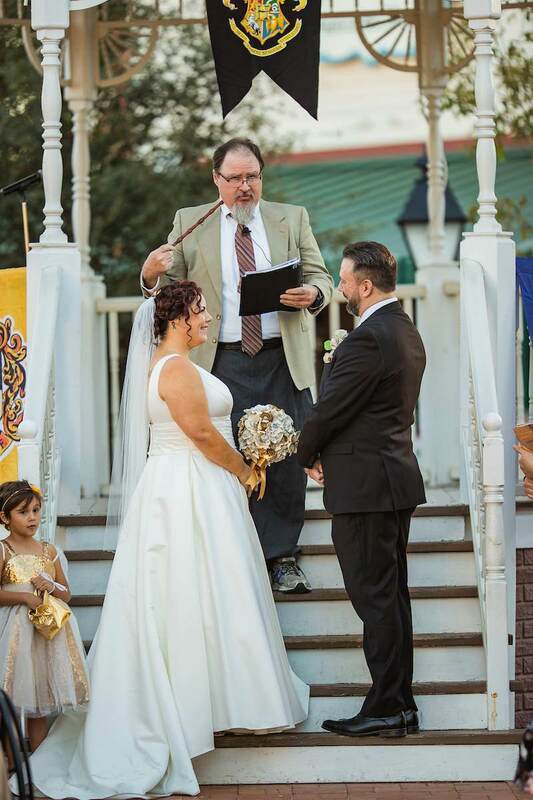 This couple bonded with their friend/officiant over their shared love of Harry Potter! Another important point is that if you are asking a friend or family member to officiate your wedding, you need to give them the tools and support they need to create and deliver the ceremony. That means helping them write the ceremony, and making sure that they have ample time to review the words and practice them. The earlier you start, and the more energy you dedicate to this task, the better your ceremony will be. It’s that simple. Of course, this is where we plug our bestselling book Asked to Officiate, because with tens-of-thousands of successful ceremonies to its credit, it’s the easiest way for first time officiants to write and perform wedding ceremonies. If you are asking someone to officiate your wedding, putting this book in their hands is the ultimate vote of confidence! Attn Couples: Have You Considered an Eco-Friendly Wedding? We're Just Giving Away Free Commemorative Wedding Certificates Now, Act Fast!